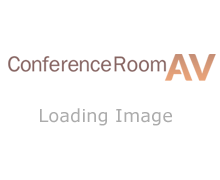 Conference Room AV offers Amplifiers with integrated mixing, volume controls, microphone inputs to provide all the audio benefits needed in a conference room to achieve your desired system settings. We carry quality brand name solutions for sound amplification and transmission, these include brands such as: Kramer Power Amplifiers, complete line of Atlas Sound Power and Mixer Amplifiers that covers varying wattages, inputs, and channels, the user friendly Crown line of amplifiers with DriveCore technology, all the way to the simple, yet cost effective Atlona power amplifiers. Whether you are just starting out, looking to add-to a system, or build a complete audio setup from the ground up, Conference Room AV can help you find the right Sound Amplification equipment for your application.